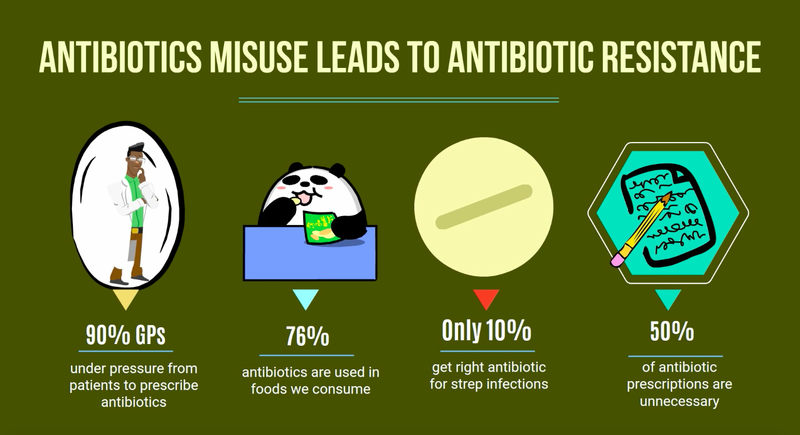 ANTIBIOTICS - ARE WE MISUSING THEM? Alexander Fleming discovered the first antibiotic in 1928. And this revolutionised all fields of medicine for ever! Bacteria are among the oldest living things on the planet. They are masters of survival and are found everywhere. They make 90% of body cells in a typical human body and 10% of body weight. Most of them are in our gut and are harmless or even beneficial to our body. But there are a few bad apples that cause disease and most of them are kept in check by our immune system. It’s estimated that, at least, 50% of the antibiotic prescriptions are unnecessary and, in fact, you could be at more risk from the disease. The end result you become more resistant to antibiotics and resort to larger doses of antibiotics. 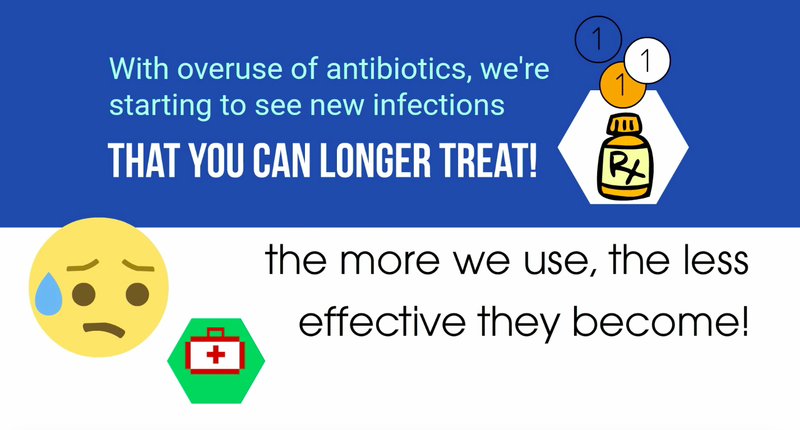 Now, with the overuse of antibiotics, we are starting to see infections that you can longer treat. Bacteria are rapidly becoming resistant to all the antibiotics we have by overly using this precious medical resource. We cannot afford to look at antibiotics as an easy fix. That’s the paradox of antibiotics - the more we use them the less effective they become. Antibiotic should be your last resort drug! You don’t need to be a doctor to know whether you need an antibiotic or not to treat a disease, and this has been going on for long. This has created super bugs. 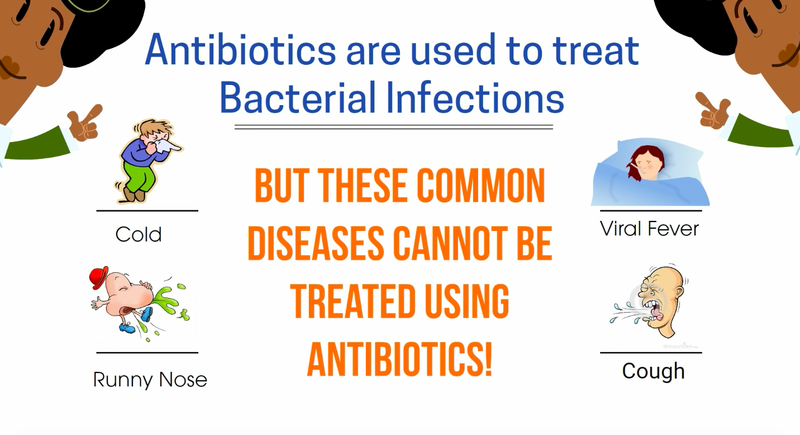 Antibiotics can be used to treat diseases that are caused by pathogenic bacteria. There may be a place for prescription antibiotics in extreme cases, but nine times out of ten prescription antibiotic use could be mitigated and avoided altogether. 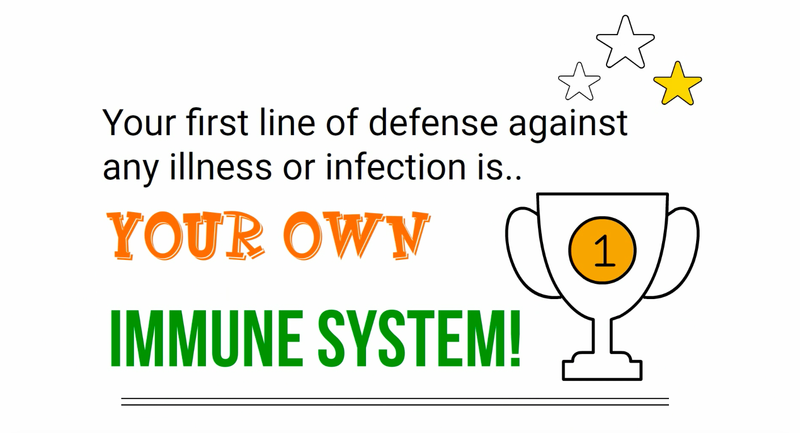 Most antibiotics don’t have any effect on your immune system. Antibiotics are useless when it comes to treating diseases caused by viruses as they do not work on viruses, that’s because viruses have a different structure to bacteria. Viruses incorporate themselves into a host cell in order to multiply. Viruses don’t have a cell wall and therefore the bactericidal antibiotics that act on cell walls cannot kill viruses. 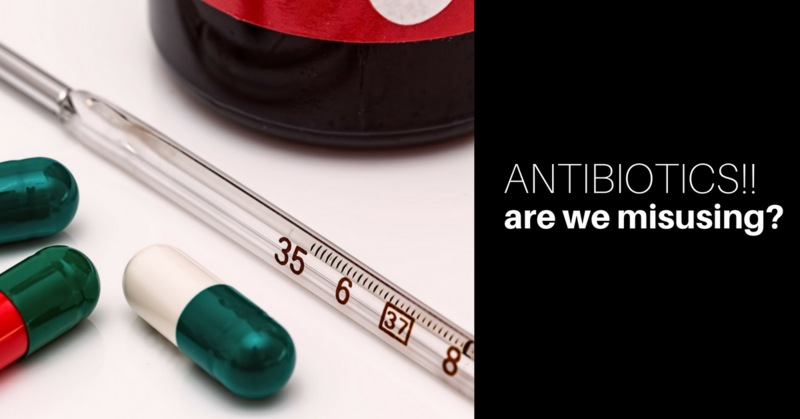 Most common diseases such as cold, cough, sinus or ear infection, etc., cannot be treated using antibiotics. 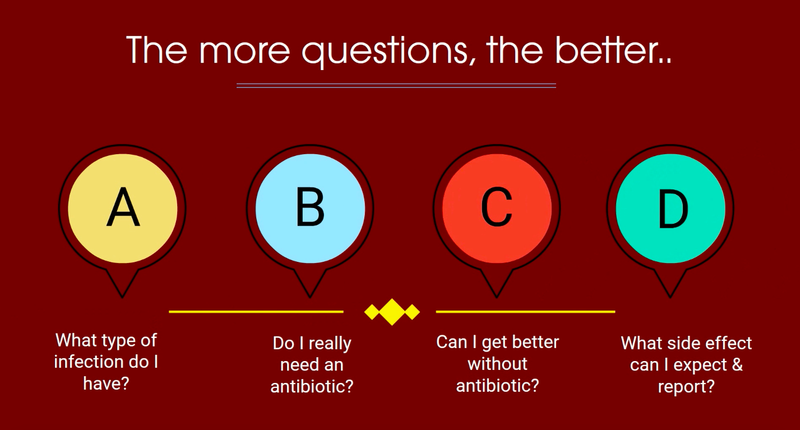 Understand that the more antibiotics you take the less immunity your body has and the more complications for your body. They even destroy the good bacteria in your gut. Next time when you are prescribed antibiotics please get it explained to you by your doctor the reason why you are put on antibiotics. Ever had an allergic reaction to an antibiotic? You must tell your doctor and/or pharmacist. Reactions to antibiotics can be very serious, and sometimes fatal - they are called anaphylactic reactions. you have reduced liver or kidney function. Please note, even if you are feeling better, you still need to complete the course prescribed for you. 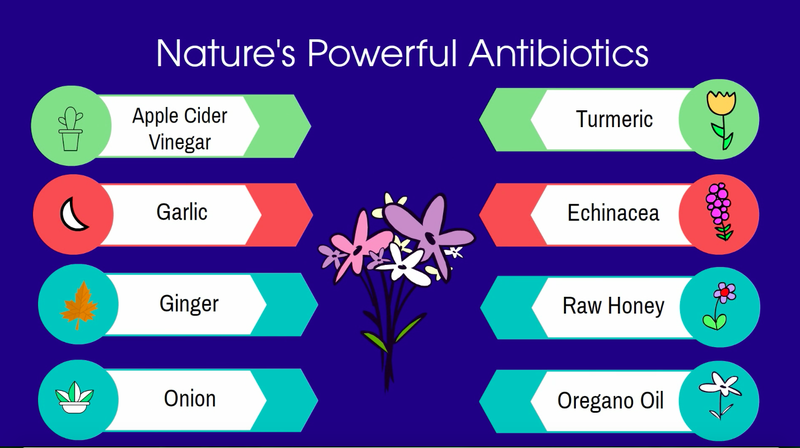 There are powerful antibiotics available in nature that will super boost your own immune system. If it's absolutely necessary for you to take antibiotics, it’s also important that you take something rich in probiotics & B vitamins; be it yogurt or probiotic supplement. Remember B vitamins are the ones that maintain your immunity in your body which is the only thing that can heal you.